Among other character traits. 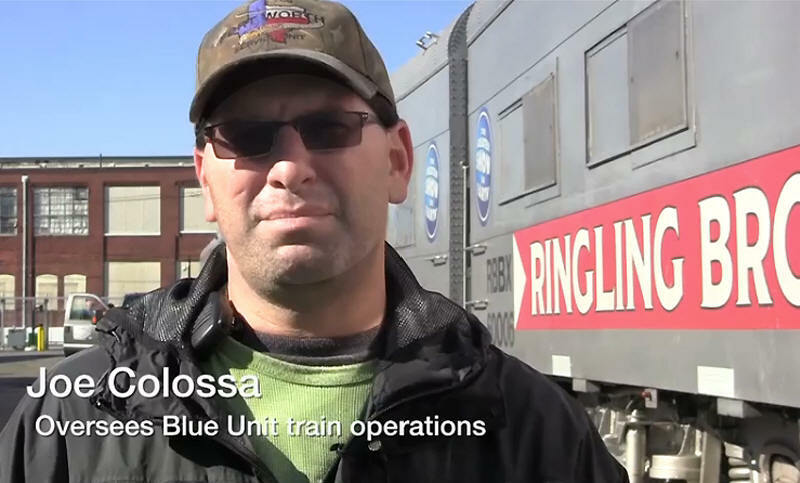 Joe Colossa values his persistence, which took him in a dozen years on "The Greatest Show on Earth" from popcorn butcher to train master on the Ringling Bros. Blue Unit. The 61-car train has completed its two-year "Dragons" tour, and Joe and his train crew are gearing up in Florida to move the "Legends" edition along its multi-city route during the 2014-15 seasons. In an interview with Lane Talburt Colossa discusses his responsibilities for overseeing the load-in and load-out in each city and in transporting some 350 humans and performing animals over the nation's rail systems.